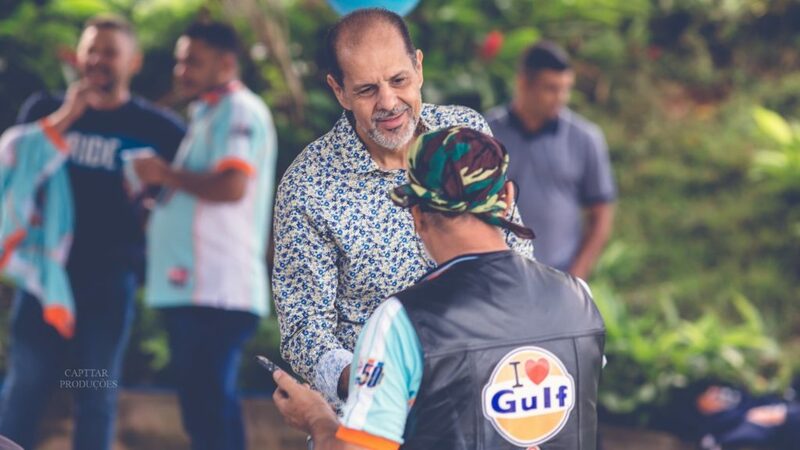 It has been almost four months since I joined Gulf to take on the Global Brand & Marketing Role and, during this time, one thing has struck me more than anything else – namely what a unique brand lies behind our famous Orange Disc logo. 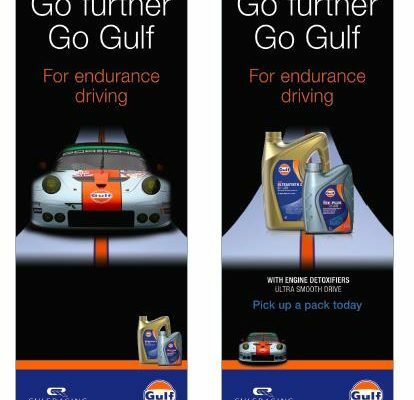 Gulf is not just an oil brand but something truly special among brands. The passion it inspires is extraordinary – quite unlike anything I have experienced before. 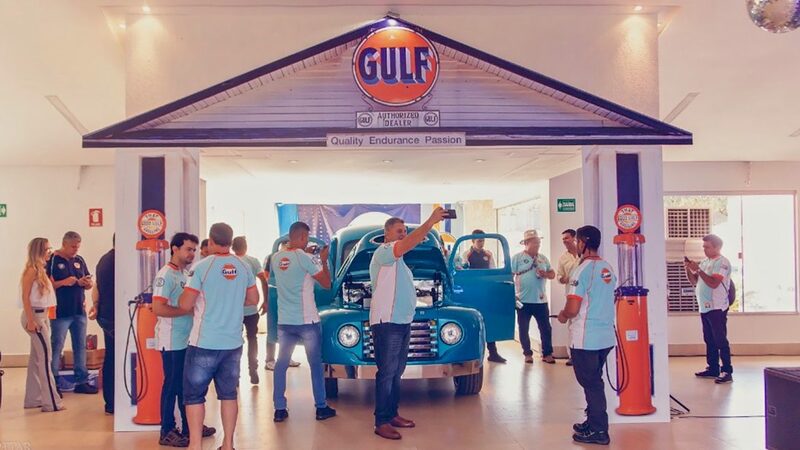 As well, of course, as our core business of selling lubricants and retailing fuel, Gulf is a lifestyle brand and people have a genuine affection for it – what other lubricant brand inspires people like Gulf? It is my mission to convert that passion into activating our marketing platform in a greater and more effective manner than has yet happened, in order to drive increased sales, deepen customer engagement, gain greater market share, improve profits and further enhance our brand equity. To that end, I am very excited to share news of our new multi-year global partnership with Aprilia Racing, a move that propels Gulf into the world of MotoGP, the pinnacle of motorcycling racing. Aprilia itself is a name enriched in success; the Italian manufacturer is tantalisingly close to notching up 300 motorcycle victories and has numerous world titles to its name, which, considering its international racing chapter began in 1976, is a phenomenal feat. The transition from World Superbikes to MotoGP, combined with Aprilia Racing’s prestige in the two-wheeled arena, demonstrates Gulf’s ambition to maximise our brand potential and become a household name in the world of motorcycling. Aprilia and Gulf have enjoyed a long-standing relationship; last season, we backed the Milwaukee-Aprilia team in World Superbikes. We are now, however, linked as never before with the Piaggio Group, Aprilia’s parent organisation. The group, of course, also includes the Piaggio brand itself, as well as the famous Moto Guzzi name and the legendary Vespa Scooter marque. While a well-known name in motorcycle racing, Aprilia has only recently returned to the top-flight. Aprilia Racing is still developing its bikes to progress towards the very front of the grid; however, make no mistake, the team is extremely serious about progressing, challenging for podiums and wins, and should prove to be a great partner. Our global partnerships with the likes of Manchester United, of course, remain at the heart of our marketing activities. 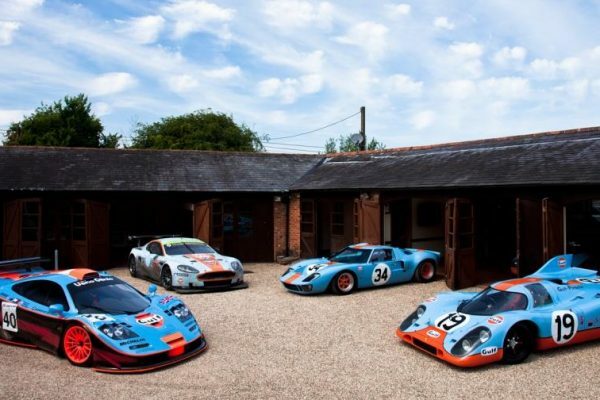 We have not forgotten our legendary heritage, and we will be back at Le Mans again in 2019, with Gulf Racing, as the team works harder than ever to pursue its place in Gulf’s history of success in Endurance Sportscar Racing. In 2018, we launched another multi-year partnership, with global watch brand, TAG Heuer, and we renewed our more regionally-centric partnership ties with Chennai Super Kings in cricket and Highlanders Rugby. In addition, our partnership with the fantastic ROFGO Organisation is now official and that will bring with it, in 2019 and beyond, some truly exciting opportunities for Gulf businesses. 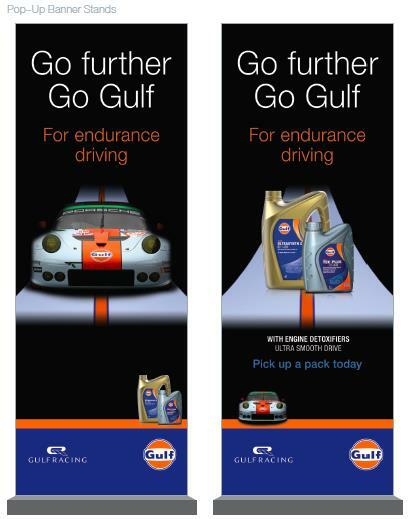 Gulf Oil International Marketing and its team remain here to support your growth journey, and the Global Marketing team looks forward to working with you to deliver creativity, cohesion and dynamism, as Gulf looks to take the brand to the next level. I look forward to working with many of you in the future and wish you all a happy, healthy New Year. 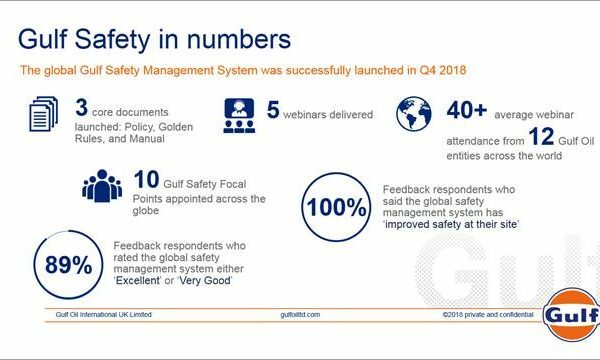 All the Gulf wholly owned entities around the globe have enrolled in Gulf’s new safety programme, launched to improve safety standards, safety performance and the overall approach to safety in the workplace. 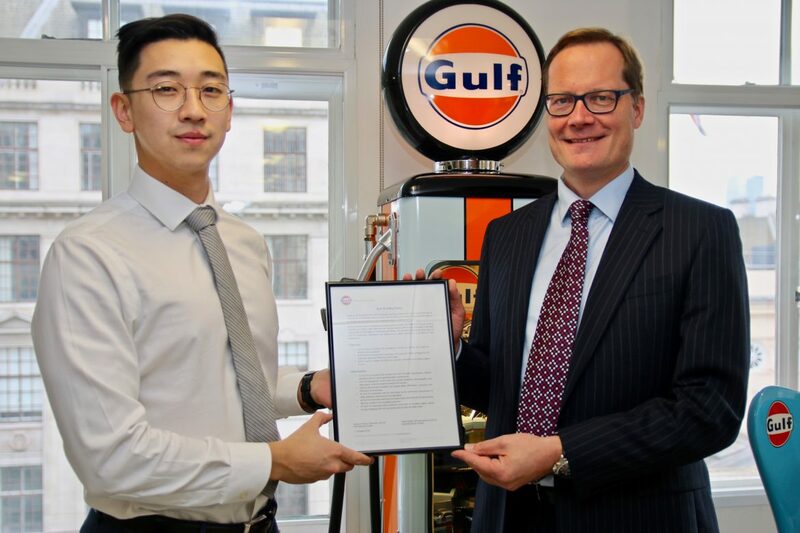 A Gulf Oil International Global Safety Team has been set-up – chaired by VP Production and Operations, Tobias Tasche (right), Project Manager Production and Operations, Richard Leng (left), and GOI Supply Chain Manager-East, Fai Kong, to choreograph the new initiative. 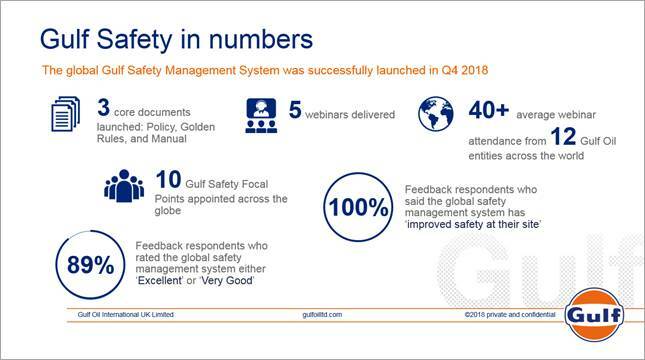 The safety programme was launched though five webinar sessions with great success. Feedback from these sessions has rated them either Excellent, or Very Good, by 89% of respondents. More impressive still, is that 100% of respondents say that the safety programme has ‘improved safety at their site’. 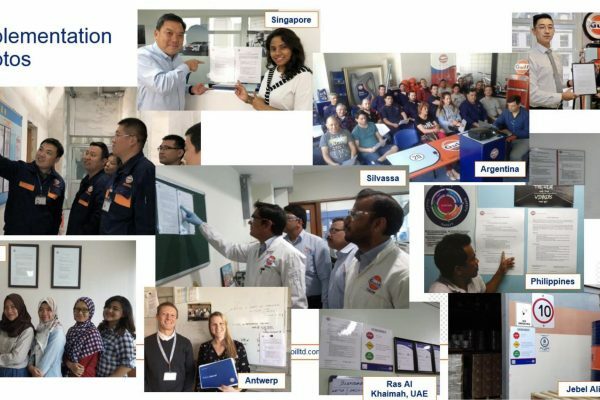 Training and supporting materials have been uploaded to the Gulf Extranet for use by employees across the globe in three languages – English, Spanish and Chinese. 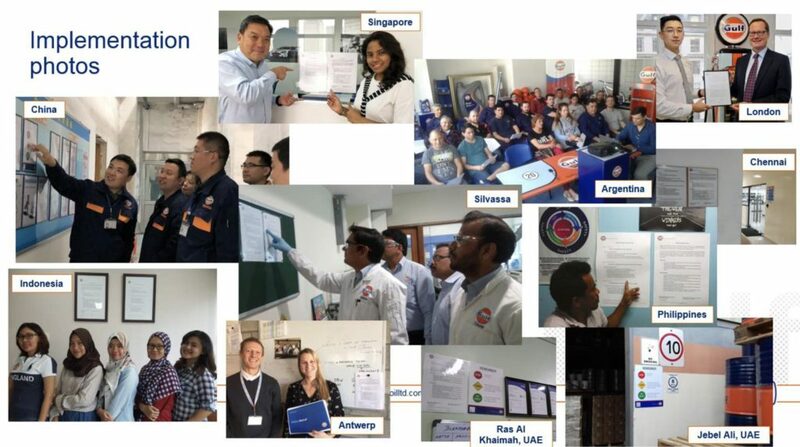 The Global Safety Team will liaise with each Gulf organisation to ensure the correct use of document and templates; that minimum standards are being adhered to; that best practice is maintained and that safety is being promoted proactively and positively. The team has already hosted a number of sessions – such as these pictured below and feedback indicates that the effect on the workplace has already been noticeable. 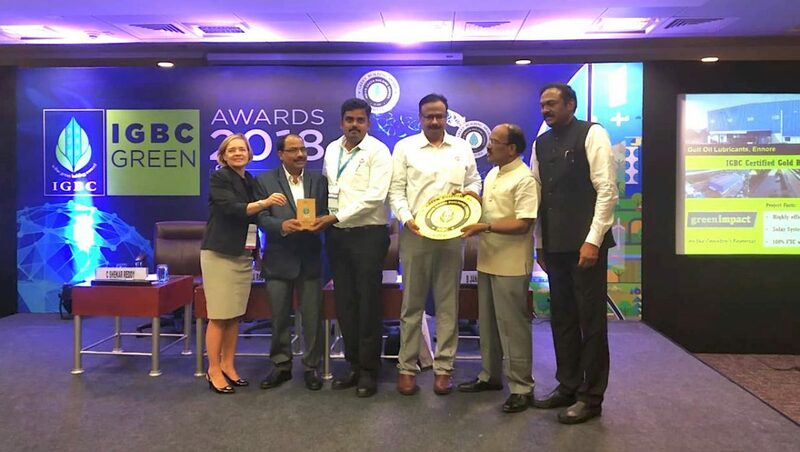 Gulf’s recently opened blending plant in Chennai has been awarded Gold certification from the Indian Green Building Council (IGBC). Gaining the award necessitated addressing issues such as energy efficiency, conservation of natural resources, water efficiency, reduction in fossil fuel usage and making the plant convenient for differently-abled people. As the plant had been planned, designed and constructed to comply with the sustainable features, Gulf in India is proud to have achieved IGBC’s GOLD certification within five months of the plant opening and without any major modifications or additions to the plant. Congratulations are due to Sunil Jambavdekar and his team on this fine achievement. 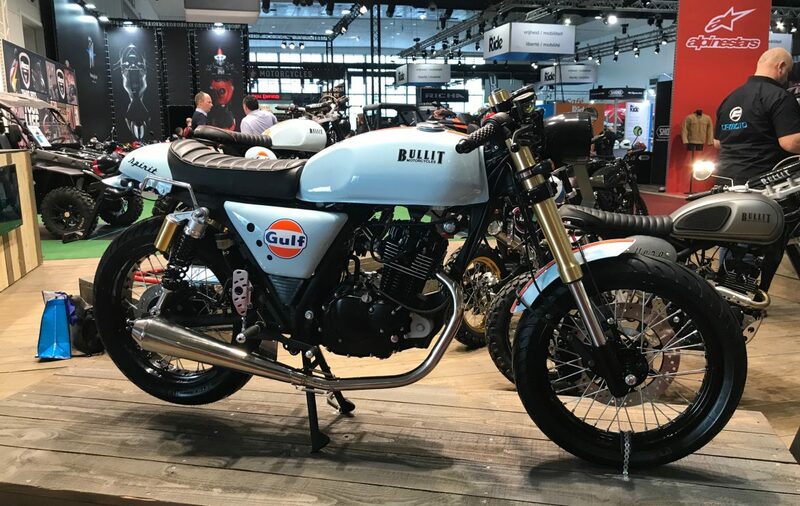 Last weekend saw the “We are Mobility Expo” in Brussels, Belgium and it heralded the launch of the new Gulf-branded, Bullit range of motorcycles – an exciting new collaboration for Gulf in Europe. 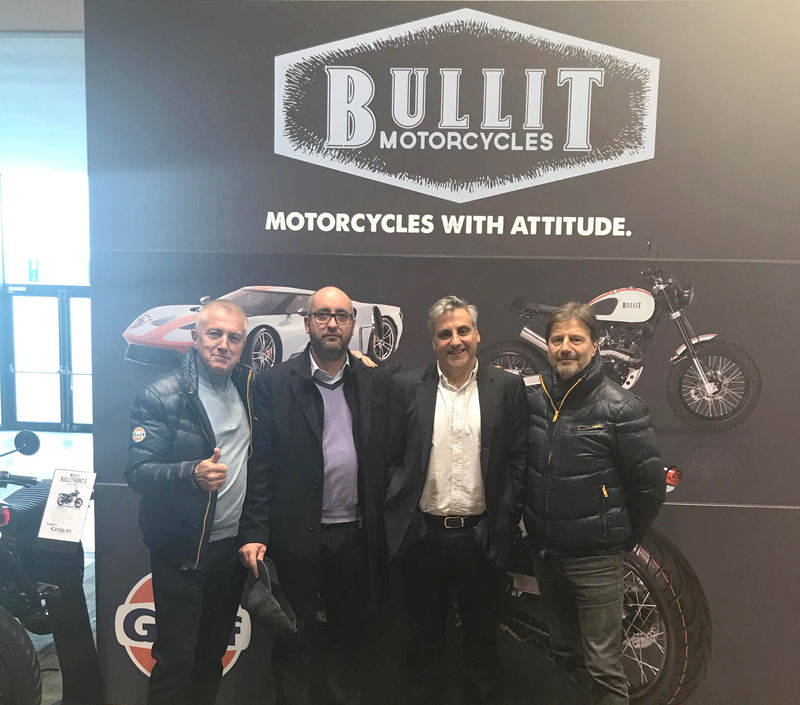 Pictured are Jean-Pierre Benveniste (far left) from Gulf’s distributors in France and a long time motorbike devotee, together with Gulf VP Europe, Camille Nehme (3rd from left) together with the directors of Bullit. As can be seen from the other image, bikes have a clear retro-style and, of course, the name echoes the famous Steve McQueen movie of the same name. Cheena Saraswat has been appointed as HR Manager of Gulf Oil International Limited. 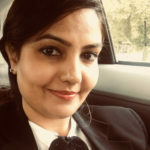 Cheena arrives at Gulf from a HR business partner background, with more than a decade’s experience in various positions, such as HR Manager/HR Consultant/Learning and Development Manager, with Standard Chartered Bank, Ericsson and HCL Technologies. Cheena is also a Chartered MCIPD and has earned an MBA in HR. 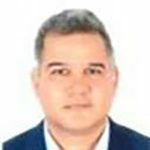 Vishal Kohli has joined Gulf Oil Middle East (GOMEL) as General Manager – Marketing. Based out of Dubai, Vishal will report directly to Chief Executive Officer, Satyabrata Das, and will manage the GOMEL marketing department. 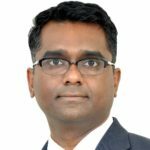 Prior to joining Gulf, Vishal held the position of Manager – Market Support and Innovation at Total UAE LLC, where he was responsible for strategising and implementing marketing actions in 14 countries across Middle East and CIS territories. As well as Total, he also held posts at Ikon Advertising, Marketing FZ LLC and Liwa Advertising LLC over the course of 15-year span. Victor will be responsible for the overall IT of GOLIL, as well as support global IT needs and initiatives, and he will report to Manish Gangwal. Victor boasts 20 years of experience in various fields, such as defining a digital strategy, building enterprise class data centres and networks, governance of landscape, designing a service level agreement-based IT service delivery model and implementing information security compliance across organisations. 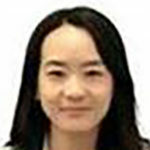 Dana Huang has joined Gulf Oil China as Finance Performance Manager based in the Shanghai Office. 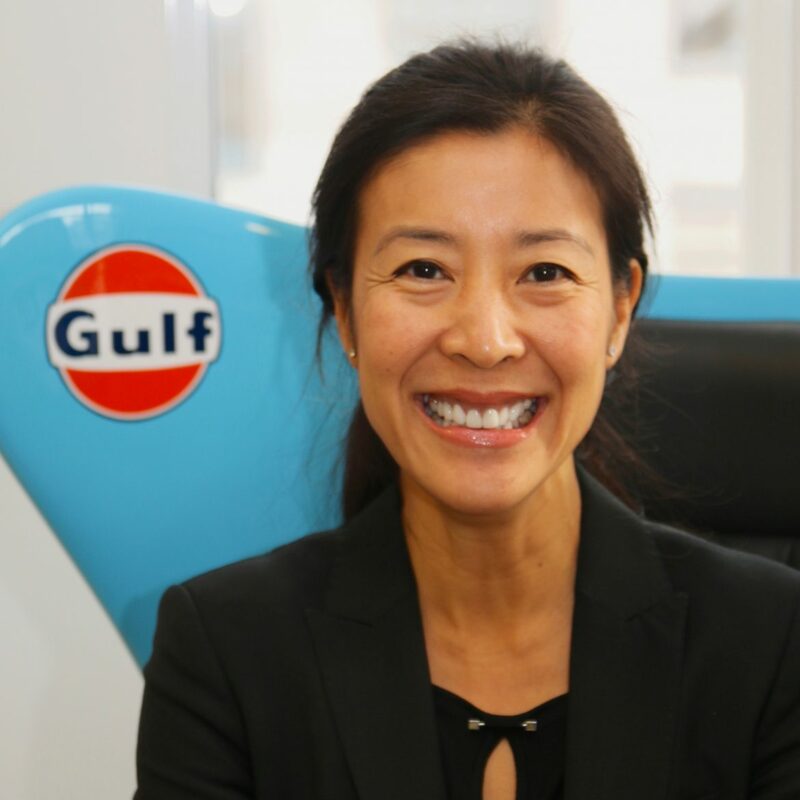 Dana joins Gulf from Global Brands Group Holding Limited, where she had been working as assistant FP&A Manager. Dana brings with her more than 15 years’ working experience in finance GL, Accounting and finance management. 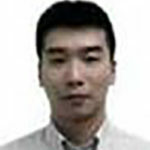 Bert Tong has joined Gulf Oil China as Product Manager based in their Shanghai Office. Bert has more than 12 years’ working experience in product management and project management and had previously been at Victorinox, working as assistant Product Manager and Project Manager. 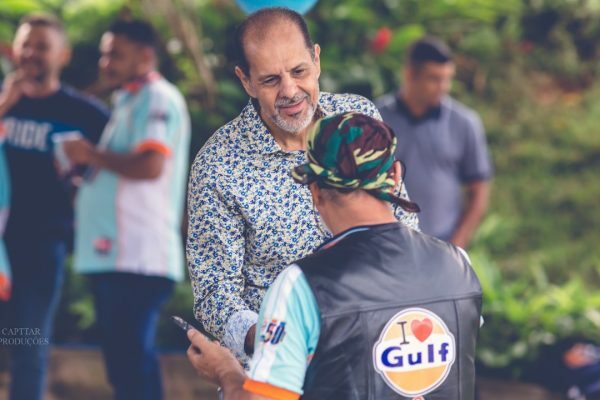 The recent gathering of Gulf distributors in Goiânia, was the third such convention for the Gulf brand in Brazil and it enjoyed widespread participation from across the Brazilian distributor network. The 2018 instant-win scratch card promotion had proved a major success, attracting more than 1,200,000 entries with the top prizes being a number of cars that were drawn from the incredibly impressive pile of entries pictured. The prize raffle served as a focal point and as a strong motivator to all those attending to make strong use of the 2019 national campaign, that is soon to be launched. 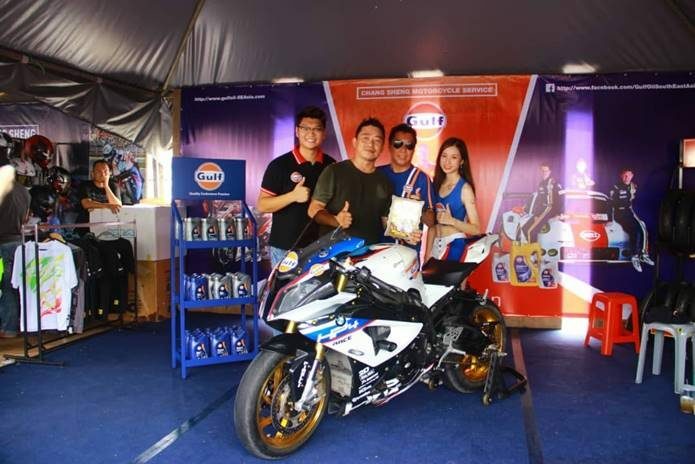 Gulf Oil South East Asia exhibited at the recent Sibu Bike Week, the biggest motorbike gathering in Borneo, where it scooped the Best Vroom Sport Bike prize for the BMW on display. More than 20,000 motorbike enthusiasts walked through the gates in Sibu Town Square in December, with Gulf’s illuminating stand proving a hit with visitors. 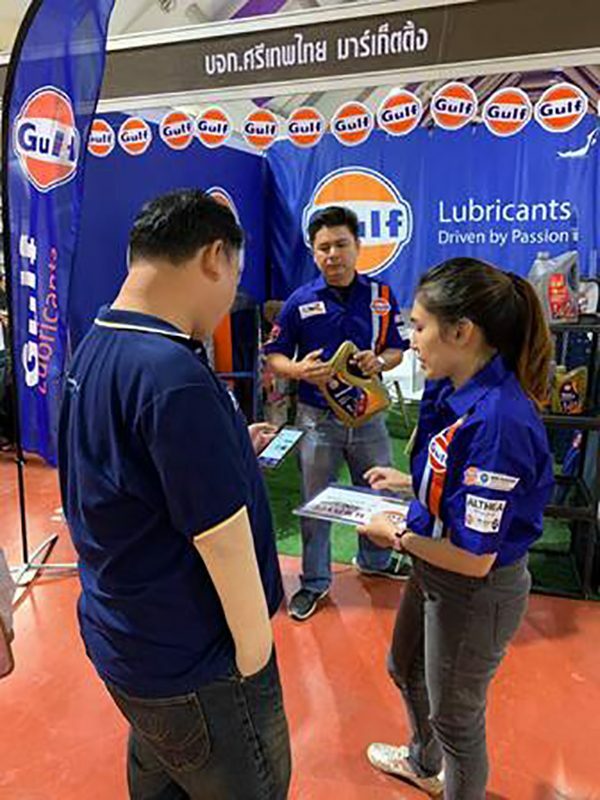 Gulf Oil Philippines has starred on national prime time television, as it continues its support of the Quezon City Capitals basketball team. 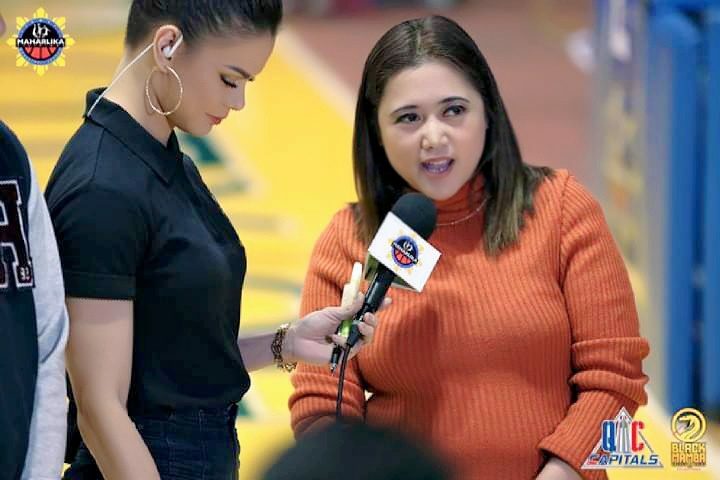 Business Development Manager, Mary Grace Bartolome, along with stars from the team, were interviewed by presenters of the Maharlika Pilipinas Basketball League (MPBL) and featured on ABS-CBN Sports. 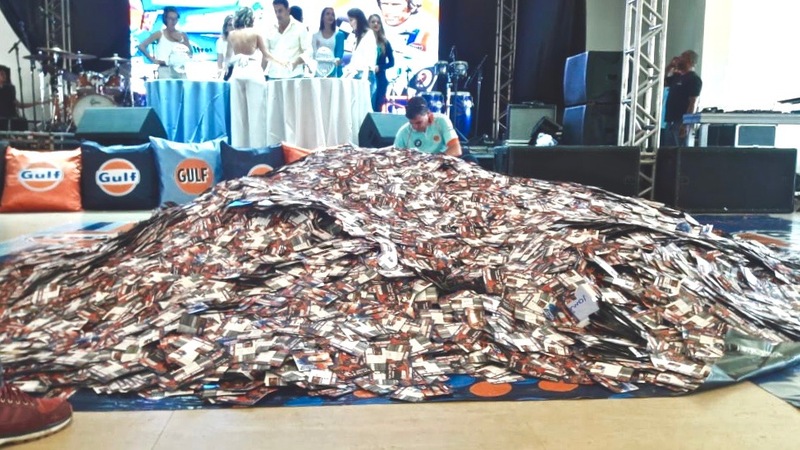 Gulf Oil Philippines began its sponsorship venture in June 2018, signing a one-year deal, and currently, the Capitals boasts a 47% win record this season. The team is finishing the season with a flourish as well, winning five of the last six matches, with Hesed Gabo averaging 6.63 assists per game – one of the highest averages in the MPBL. Gulf has launched the Elite Gulf Workshop Programme, a new initiative that targets prestigious European-brand specialist workshops around the world. The first of its kind – and hopefully the first of many – workshops will be provided with unique signage for use in outdoor, workshop and reception areas. In addition, these specialists will be able to sell licensed Gulf merchandise, have access to the Competition range of Gulf products – Gulf Racing 10W-60, Gulf Formula ULE 5W-40 and Gulf Formula GVX 5W-30 – and maximise the benefit of exclusive motorsport promotions. Australia is the first country for the programme to be rolled-out in. 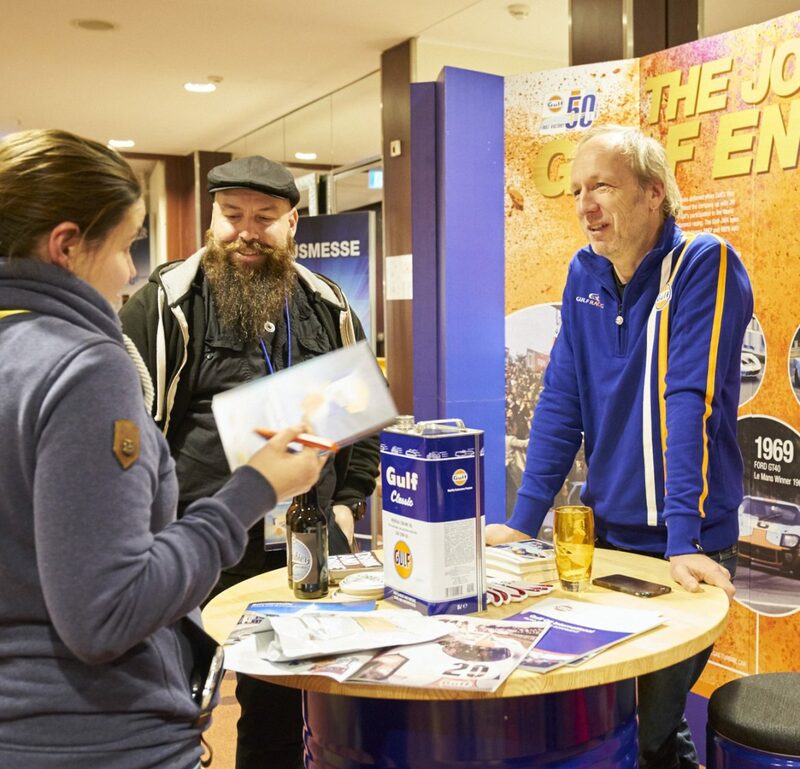 Gulf Oil Deutschland recently exhibited at the Meistertreffen expo, organised by Goodyear’s “GHDS” sales organisation, in Frankfurt, Germany. This annual event is targeted at automotive technicians from almost 1,000 independent workshops and tyre dealers. Gulf brought along a special guest from the German TV Show “Grip”(pictured) – which is similar to the UK’s Top Gear show, which proved a strong draw and the Gulf stand was very well attended throughout the entire exhibition. The level of interest and quality of prospects was very high and subsequent follow-up discussions have already started, with the promise of some early converted business. The decision to participate proved popular and the GDHS has already invited Gulf to participate in 2020. Gulf Oil South-East Asia (GOSEA) recently exhibited at Northeastern Logistic 2018, held at Nakorn Ratchasima Province, the biggest city in north-east Thailand and is home to GOSEA’s logistics team. GOSEA was one of more than 50 exhibitors at the event, all from either automotive, lubricant or accessory markets, with the objectives of strengthening the Gulf brand and increasing business opportunities in the region. 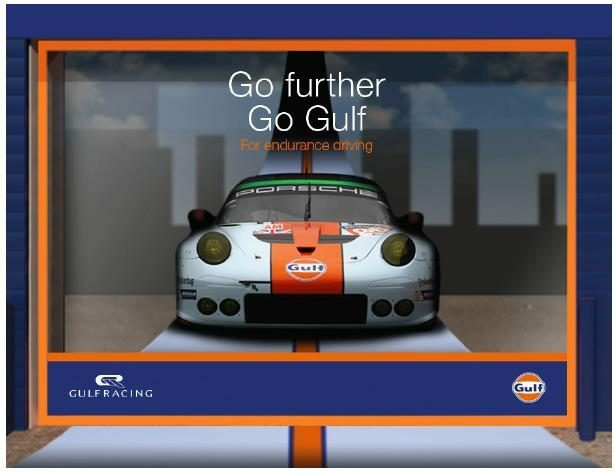 From Gulf’s point of view, it achieved what it set out to do, owing to the outstanding booth livery which was shared 100 times and viewed more than 10,000 times on social media. 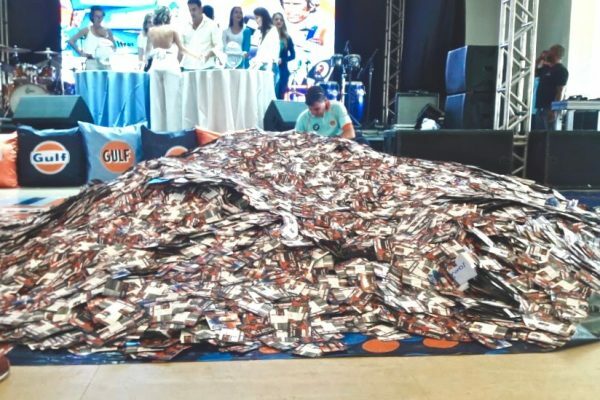 The Gulf Fan Academy ‘blindfold challenge’ proved popular among visitors at the recent CarsDB Autoshow. 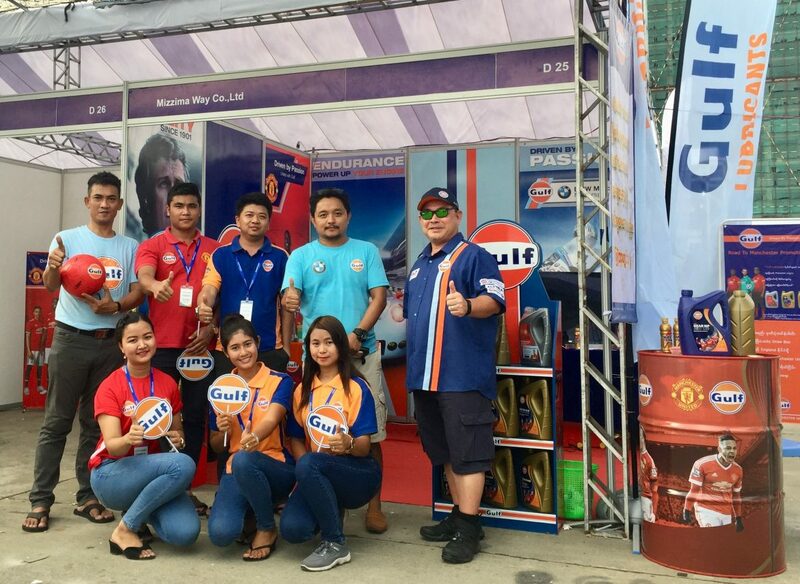 Gulf Oil South-East Asia (GOSEA) and Gulf in Myanmar teamed-up to exhibit at the event, held in Yangon, Myanmar, where, as well as looking to bolster the awareness of the brand and expand business in the country, Gulf staff helped the local audience win Gulf merchandise. With Manchester United the most popular football team in Asia, it came as no surprise that the red livery and Fan Academy challenge were a ‘hit’. 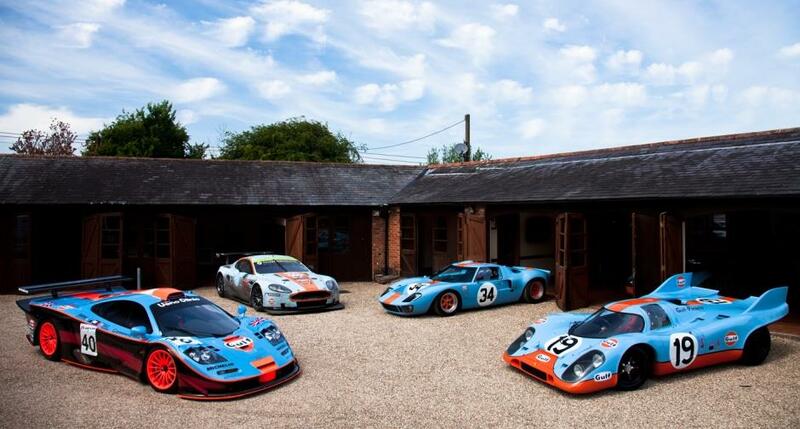 GULF HERITAGE FORD GT RAISES MILLIONS FOR CHARITY! 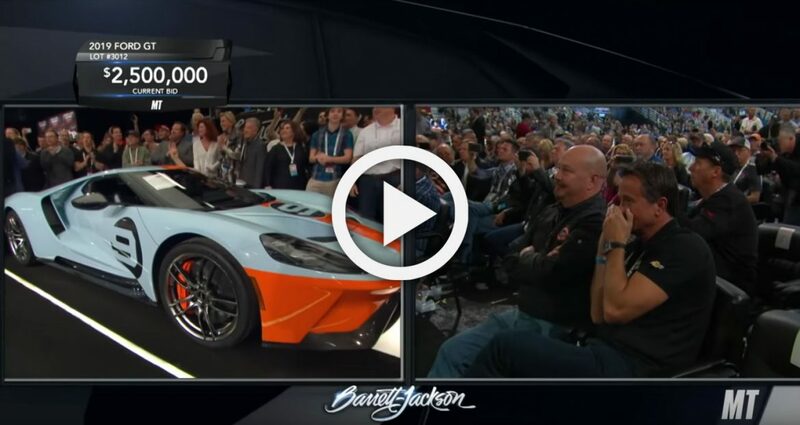 Chassis 001 of the run of 2019 Gulf edition Ford GTs came up for auction at the recent Barrett-Jackson car auction at Scottsdale last weekend to raise funds for underprivileged children in Ford’s native state of Michigan, USA. The car attracted a huge amount of interest, not just at the sale itself where it raised $2,500,000 – almost two million dollars over its list price – but also subsequently online, where more than 60,000 people have since viewed the car being sold. 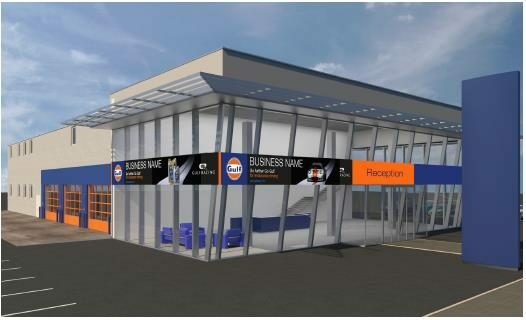 The car earmarked for Gulf use will arrive in February and anyone wanting to create a stir in their local market, with its presence, should contact rachit.kapoor@gulfoilltd.com for details.